I subscribe to or regularly read The Atlantic. Yes, I want to receive updates from our partner in this campaign, NARAL Pro-Choice America, regarding women's access to abortion. The widely respected and widely read magazine The Atlantic just hired Kevin Williamson--a writer who argued that women who have abortions should be hanged. Williamson also compared a 9-year-old Black child to a primate. Really. 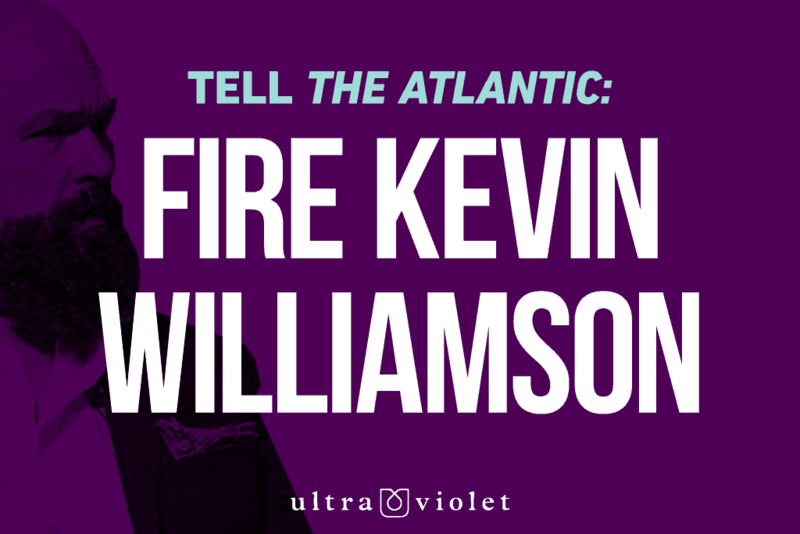 Editor-in-chief Jeffrey Goldberg is defending his decision to hire Williamson, saying he is merely controversial. But the backlash against The Atlantic isn't just about controversial views. The Atlantic has given a huge platform and voice to a man who is literally advocating for the execution of women and dehumanizing Black people--normalizing his views at a time when our rights are being attacked every day. Like many magazines, The Atlantic has struggled in the past to stay afloat and cannot afford to alienate its typically liberal readers. If we all speak out now, we can put a stop to this unacceptable hire. Can you sign the petition?